Picture yourself relaxing poolside, enjoying the tranquil sounds of the waterfall cascading into your built-in spa. Creative Escapes can create a custom oasis that will fit in perfectly with the contours of your property and dreams. 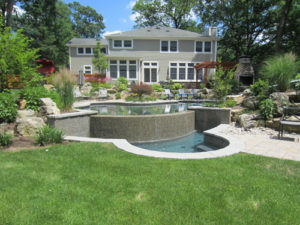 We can include custom outdoor kitchens, waterfalls, pools, spas and slides in your design--everything for your backyard getaways and entertaining needs. 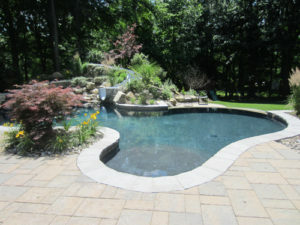 Creative Escapes is a certified Gunite pool installer. We can coordinate your Creative Escapes projects with our business partners, Sharpest Edge Landscaping and Outdoor Systems Sprinklers and Low Voltage Lighting. View our Gallery of installations for inspiration for your Design Project. We provide accurate, realistic, and reasonable estimates. 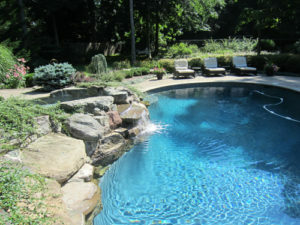 We offer estimates for a wide variety of things ranging from pools and waterfalls, to outdoor kitchens, spas, and slides—everything for your background getaways and entertaining needs. We also provide computer generated designs done by Trish Dinelli, of PMD Designs LLC who uses her expertise to help visualize your ideas. This is where our creative juices really get flowing. 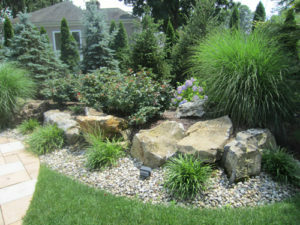 We can create a custom oasis that will fit to the contour of your property. Private Paradise. Picture yourself relaxing poolside, enjoying the tranquil sounds of your backyard getaway. 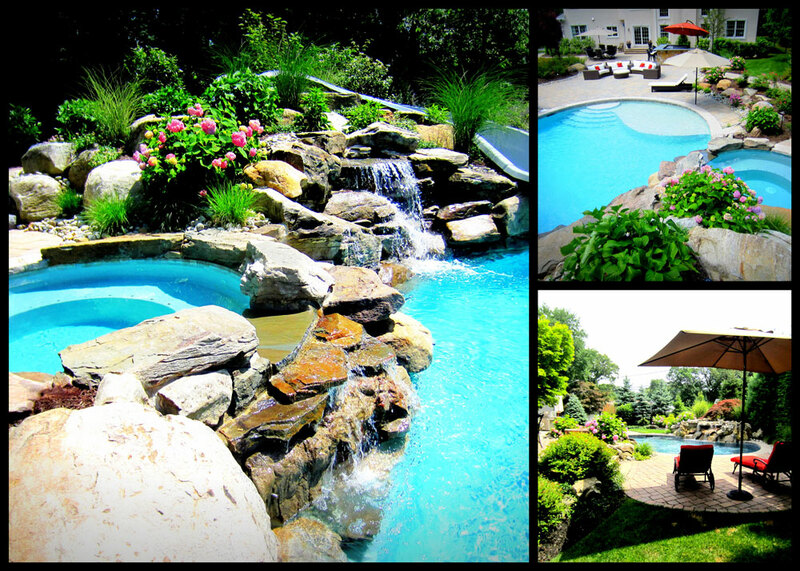 Creative Escapes can create a custom oasis that will fit in perfectly with the contours of your property and dreams. We will work with you through the whole project to make sure you get exactly what you want. 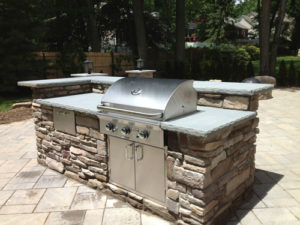 Outdoor kitchens and BBQ’s will take your living experience to a whole other level.The amenities and benefits that come with installing an outdoor kitchen will create a timeless haven of beauty. Hardscaping is a great way to expand your outdoor living space. Whether you’re creating an outdoor barbeque, firepit, or kitchen, hardscaping can beautifully compliment your home’s exterior. It can enhance your outdoor area and help define the structure for any services you want done. Backyard garden beds and landscaping will help make a bold seasonal statement. We can coordinate your Creative Escapes projects with our business partners, Sharpest Edge Landscaping and Outdoor Systems Sprinklers and Low Voltage Lighting.